Online auctions and dropshippers are a great way to save and making money. The ones I describe here are completely safe to use provided you follow the guidelines, terms and conditions of each of the sites. These auction websites are also cheap to use, although they do charge a small fee. However, the fees are clearly explained and there are no hidden charges, so you can easily work out your profit or purchase costs. You also have the assurance that the seller will send you your order as stated or that the buyer will give you swift and safe payment. eBay is excellent for selling things of value and is perhaps the most well known and used auction website. For example many competition winners will sell signed items such as books. It is the perfect place to sell: you can set the reserved price (particularly handy for when you want an enticing starting bid of 1pence), the posting costs (you decide whether the buyer or yourself will pay this) and the starting bid. As with both sites the fun is watching your bids rise. If you are buying it is worth staying up to put in a late bid - you may get a bargain this way or use the loafing way to bid: you can get them to bid automatically for you by setting your maximum amount you wish to bid and whenever someone bids they will out bid them for you. As with all goods you bid for you get notified by e-mail (if you set this as one of your preferences) when you've been outbid. Join Now. Swapit, formerly the swapitshop, is the cool trading site for children and teenagers where you can get the things you want, like CDs, Playstation games, posters, trading cards, fashion, books, collectables, gadgets, toys and DVDs! Making money with online auctions can also be achieved through buying at one and selling at another. For example reverse auction internet websites allow you to make unique bids for cars and plasma TV's and even cash prizes worth up to £100,000. You bid an amount that you think the prize will go for - this bid amount is unique and no-one else can bid this amount. If the prize goes for this lowest amount - it's yours! If you have been lucky enough to win at a low price you could sell the item at another site for more. Abebooks specialise in selling out of stock/print books. You can sell your books with them. They list many book shops worldwide, so you're bound to find the book you're looking for. If you purchase several books from the same seller you get reduced postage and packing costs. Morgan Auctions sell a wide range of overstock, refurbished and second user computer equipment. All goods are sold without reserve and All bids start at £1. An ideal place to get stock. Amazon Marketplace is so easy to use and clearly laid out. I often buy goods, especially used and rare books or CD's from Amazon. I also sell my used books and unwanted competition winnings there. Buying and selling is so easy to do and Amazon MarketPlace provide easy steps in the procedure. You will have to register your credit card details at their secure site. This is a security precaution to safeguard against fraud. The benefit of this is that Amazon acts as an intermediary between the buyers and sellers, so your cash is completely safe in your Amazon account. When selling you must post within two days as the buyer will have paid Amazon immediately for the goods. Amazon will state the postage costs to both buyer and seller, and normally the buyer pays this. There is a sliding scale depending on where in the world it is to be sent. Another ideal way to get and manage stock without pre-paying nor holding it is by drop shipping. There is an explanation and more detailed information on the drop shipping page. 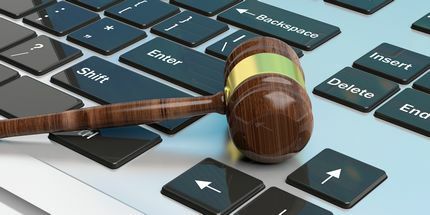 There are some other tips to make money at online auctions and this section will describes some free tools and web sites that help. eBay Pulse will give you access to information about current selling trends. This info includes the most popular searches, most watched, hotest deals under £20 and the busiest shops. By studying these you can assess what are hot sellers and if you can sell such for profit. Another useful tool and section is the wholesale site where users can buy wholesale in quantity. These can then be sold in your own auctions and internet stores for profit. The eBay wholesale site includes lots from auction houses throughout the UK and worldwide. These are divided into sections like books, comic, magazines, art, jewellery, watches, clothes, collectables, household, home and garden and also mixed lots which will give you a broad range to resell. Another eBay tip that sees many people buy really cheaply which they resell for more at a later date is to check for spelling mistakes on listings. These tend not to be searched for adequately and so attract fewer bids meaning you can buy lots at cheaper prices. There are various tools and websites that will help you quickly and easily find types of lots and specific things that have been misspelled or miss placed. These include www.fatfingers.co.uk. Fatfingers has the added advantage of a search facility where you type in your key word and they will give you common spelling mistakes and a range of sites like ebid and QXL. There are many other tools that will help you earn from auctions. These include the eBay toolbar that will sit on your PC or laptop desktop and help you watch those of interest or that you are bidding on. This allows you to get on with other work whilst still keeping an eye on your bids or watching how well other auctioneers are doing. Turbo Lister is a great tool that will save you lots of time if you list lots or in bulk. Another advantage is that it can easily improve the look and make your listings more eye catching and easy to read. Pricepirates have a fantastic tool that allows you to compare prices on different things that are for sale at eBay with what you can expect to pay at a high street store or online shop. This prevents you over spending and getting a better deal than in shops and stores using this tool. Play Trader from www.play.com is an alternative to Amazon. They allow you to sell CDs, DVDs, computer games and books. Unlike others they charge the buyer the commission fees meaning the seller can make more of a profit. Registering is free and the easiest way to list an item at Play Trader is to search for the item using the Play search box. Once on the description page there is a clickable link to list your item for sale at Play Trader which says Sell yours here! Then all you have to do is follow the on screen instructions such as describing the state of the item for sale, giving a description of the condition of the item and where you want to send the item. This can be just throughout the UK or UK and Europe or just Europe. You will need to open a free Play account and choose a nickname. If you are a serious Play Trader then you may wish to choose a sensible nickname that buyers with trust rather than a daft or funny name. If you run a website or company you may want to use this name to provide reassurance and trust with the customer and give you free advertising. Payment by Play Trader is via Paypal and if you give Paypal your bank details you can transfer this to your bank. It is worth saving this up to £50 because the bank transfer will then be free. Once you have sold through Play Trader you will be expected to send the item or items within one or two working days so that the buyer will receive it within four working days. Unlike websites like Amazon.co.uk that gives you and the buyer the estimated costs of posting, the Play web site ask the seller to calculate this charge. Play Trader do give estimates for the price of the item along with the Play.com price for a new item. These help you estimate what to charge a potential customer so that they get a good deal and you get a good price for the tem you are selling at Play Trader. A unique feature at Play Trader is the ability to use a reference code. This is ideal if you are selling multiples and want to track or manage their sales, a particularly useful feature for traders.